Cintra is a geometric sans serif typeface created by Pablo Balcells and published by Graviton that the characters has rounded angles and can be use for headline, logo, magazine, poster etc. 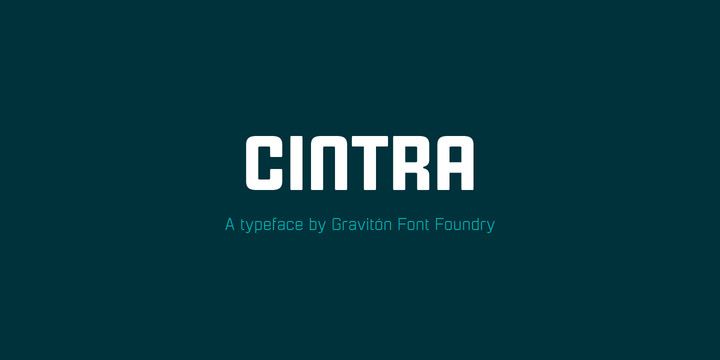 Note: Cintra is a trademark of Cintra. A font description published on Wednesday, July 9th, 2014 in Fonts, Graviton by Alexandra that has 4,842 views.